Would You Move To China For Your Children? Most parents would do almost anything for their children. I know I would. But to what extent would you go? Anne and Eric Isom, decided they wanted to say goodbye to their American life and move to China for the sake of their children. There’s just one thing. Anne and Eric are not Chinese. Find out why and how they made the move to China a reality. Finances: Money from selling stuff + House +saving for several years. Eric and Anne Isom have 4 beautiful girls who range in age from 7 to 16 ( as of 2012). Eric (dad) has short blond hair and looks like the kind of dad you see on T.V. Anne (mom) has dirty blond hair, fair skin and the most trusting smile I have ever seen. Their eldest daughter is 16 and is the perfect blend of mom and dad. Then there are the three younger girls who have their moms contagious smile but share no other physical traits of their parents. Unlike their older sister, all three younger girls have straight jet black hair, olive skin and dark eyes. If you haven’t guessed yet, Eric and Anne’s 3 younger daughters are adopted and were all born in China. WHY DID THEY MOVE TO CHINA FOR THEIR CHILDREN? The main reason Eric and Anne went to China is because they believe it is important to teach their adopted girls about their Chinese heritage. They also believe it’s important that all members of their family learn about China and the Chinese culture. But how does one go about teaching your adopted children from China about their Chinese culture when you have little to no first hand experience in that culture? Eric and Anne could have joined one of the many organized subcultures that have developed around the growing number of Chinese children adopted by American families since 1991. Do a quick internet search and you’ll find play groups, Chinese dance lessons, private Chinese lessons, tours of China and online support groups dedicated to supporting Chinese children adopted by American families. But Eric and Anne didn’t just want their girls to learn about China through pictures , text books, Chinese dance classes and their limited knowledge of China. They wanted their girls to feel at home in their birth country. They wanted all their girls, even their biological daughter to live and breath Chinese culture and they wanted to do it together as a family. For years Eric and Anne hoped Eric could get a job in China. Unfortunately, even though Eric was highly skilled in his field and a manager at a global 500 company, he was never able to find a job in China due to his inability to speak Chinese. Then in 2011, Eric’s company sent him and his family to Mongolia for a six month contract. It wasn’t China but it was something. After a few months, it became apparent that Mongolia was not what they wanted. 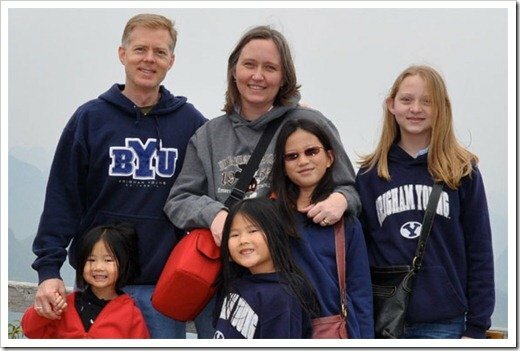 Although living in Mongolia gave the Isom’s the international experience they were looking for, it wasn’t fulfilling their main goal which was to live and breath Chinese culture and to connect their adopted daughters to their Chinese heritage. At the end of Erics six month contract, the Isom family decided that in order to make their dream of living in China a reality, they needed to move to China NOW, on their own without corporate sponsorship. Another driving force to move to China sooner rather than later was the fact that their eldest daughter was already 15. Soon she would be out in the world on her own and the Isoms wanted to make sure she didn’t miss this fantastic opportunity to learn about Chinese culture. Logistically it made sense too. They had no mortgage, everything they owned was in their suitcases and China was the next country over. So Why not move? 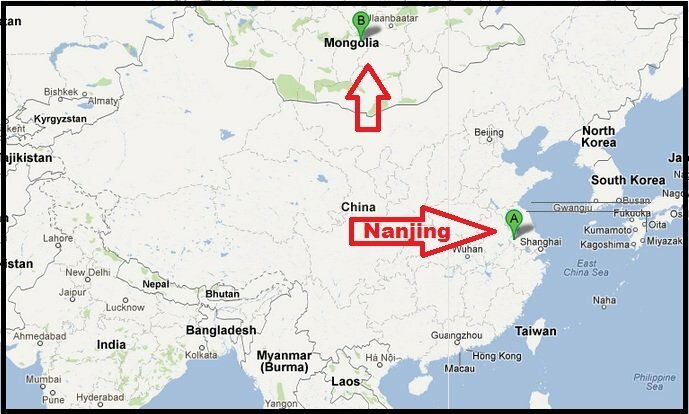 On the 5th of January, 2012, after some preparation, visa research and house hunting, they moved to Nanjing China where they now live in a 3 bedroom flat on the 17th floor of a high rise. The high rise is on a quiet street, where the kids can ride bikes, visit parks and even roller skate. What’s really great is that the Isoms eldest and biological daughter is also attending the same intensive language program as her father and apparently is quite the linguist. She started attending when she was just 15 years old. The Isom’s three adopted girls have a private Chinese tutor who comes to their home 4 days a week for three whole hours each day. In addition to their language courses, Anne is homeschooling all the girls. 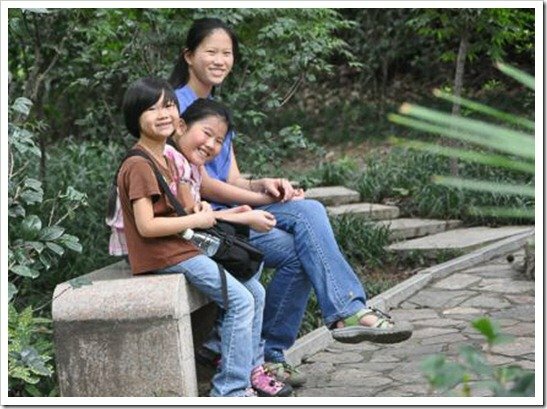 Anne used to home-school back in the US so it was a no brainer to continue homeschooling them while in China. How Do They Pay For It All? With the exception of some books and art pieces which are in a storage unit back in the US, the Isom’s sold everything they own including their home to fund their two year trip to China. They also saved like crazy several years in advance. Plus, it costs much less to live in China especially since they don’t have a mortgage, car payments and all the trappings of their old life. So how much does it actually cost for a family of 6 to live in China. The Isom’s spend less than 24K a year for everything including the university tuition for two people. 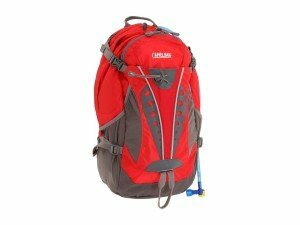 That means, rent, utilities, transportation, travel insurance, visas, food, clothing, tutors, entertainment…. Everything. That breaks down to $66 per day or $13 bucks per person. Luggage wise, the Isoms brought two 50 lbs. suitcases each plus they each have a carry on bag and a camelback backpack each( the one with a water bladder inside of them). This is more than a lot of our other families who have to limit their possessions to a backpack because they are moving more often. When Will The Isom Family Return To The US? The Isoms intend to stay in China indefinitely. They are banking on the fact that Eric will be able to land a job once he masters the Chinese language. Anne is proud of the fact that they are not living in the “expat bubble” as she liked to call it and says for the moment, they are enjoying their life in China but at some point, they plan on returning to their globe trotting ways and introduce their children to other countries and cultures several times a year. The Isom’s story is a good reminder for all you wanderlusts spirits that just because you have children doesn’t mean that you must raise them a certain way. You have to choose the path that best suits your values and goals. 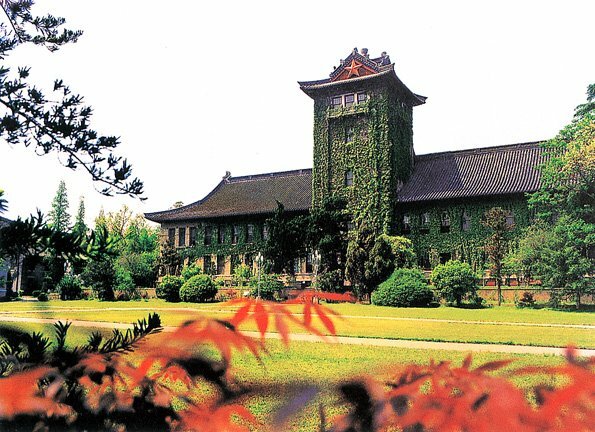 Would You Like To Live Abroad Someplace Like China Too? If you are or would like to plan your own family adventure abroad, Anne has her top three bits of advice for you. Get out of debt. 100% out of debt! You don’t want debt nagging at you in the back of your mind! If you are going “for the experience,” really experience it. Live, shop, eat, and study where the locals live, eat, shop and study. Choose places to stay where you are not surrounded by expats and avoid having the “local expats” help you get settled. They will steer you to locations close to them, encourage you to shop at the import stores and will influence you to make choices you otherwise would not. Start teaching your children now that they must try every food at least once, and set an example for them! BONUS: Anne says that one of their biggest challenge has been unexpected expenses. So before you trip, make a detailed budget and add 20% to it. The Isom family are are the 9th family to be featured in an ongoing series showcasing and featuring families and couples who are travelling full time or for extended periods of time. Some people travel for just a year while others have been travelling for more than 5. These are not lottery winners or rich people. They are just ordinary people like you and me who made travel their goal and decided to work at that goal to make it happen. I hope it inspires you to do the same no matter what your goals are. Want to get featured on this site like this family? Do you know of someone whom I should feature? Please fill out this form and I’ll post the story here..